Overall the challenge of the module is rather unbalanced. 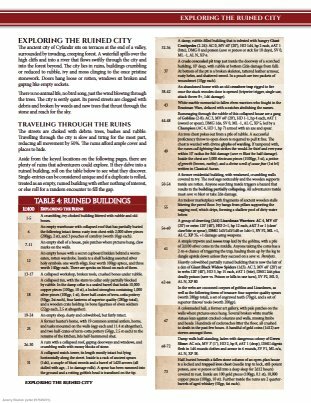 All the encounters are cakewalks for a 5th to 7th level party (having lower hit dice and not massive numbers, either), except the dragon herself. And she clocks in at 18 hit dice, as this uses BECMI style dragons which are much tougher than OD&D/AD&D ones. With that said, the dragon still only has 80 something hit points, so should not be out of the realm of mid level characters to defeat. As with the Sinister Stone of Sakkara, the level of detail is similarly lopsided. Treasure gets a detailed breakdown (with potions getting a color and taste, even) and is largely unique, but NPCs have no physical descriptions and usually no personalities. The module is nice looking, with a lot of full color artwork. I'm not sure the artwork has anything to do with the module itself, it seems like stock art pieces that sort of fit. Still, it's expensive stock art, like Dean Spencer. For instance, by the entry for an emissary to the dragon is a picture of a Celtic warrior killing two grey skinned humanoids. 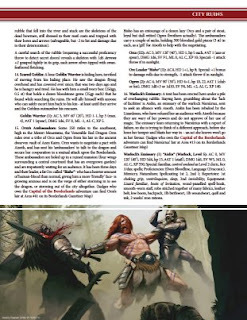 It's a very nice piece (other than the warrior not wearing trousers but some sort of loincloth-kilt thing). 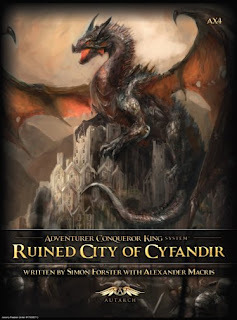 Ruined City of Cyfandir is not bad, just somewhat lackluster. It also seems more like a low level premise than for mid level characters. 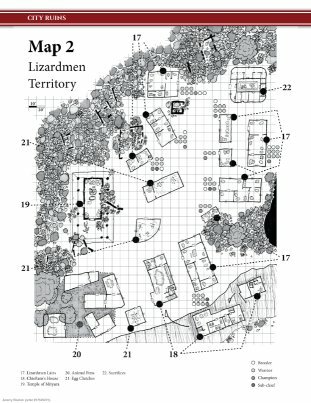 Do you players enjoy dealing with lizardmen and goblins at mid level? Mine do not. I also don't think it leverages the best part of the official Autarch setting, which is more of an Ancient world than Medieval. 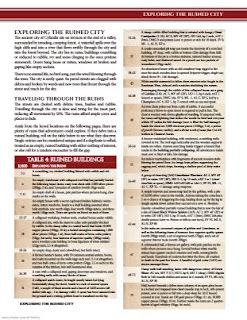 But it's only $4 for the PDF and if you need a small ruined city, you could do much worse.